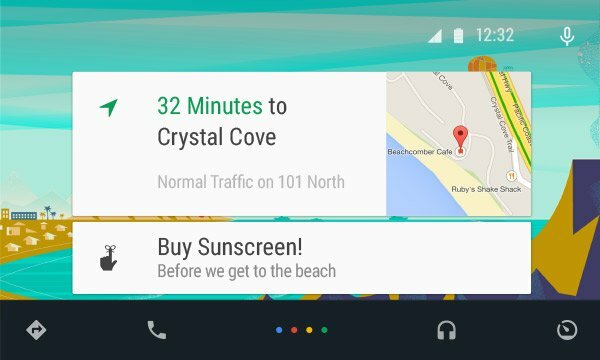 Google has taken the wraps off of Android Auto, which is their answer to how you use Android in your car. 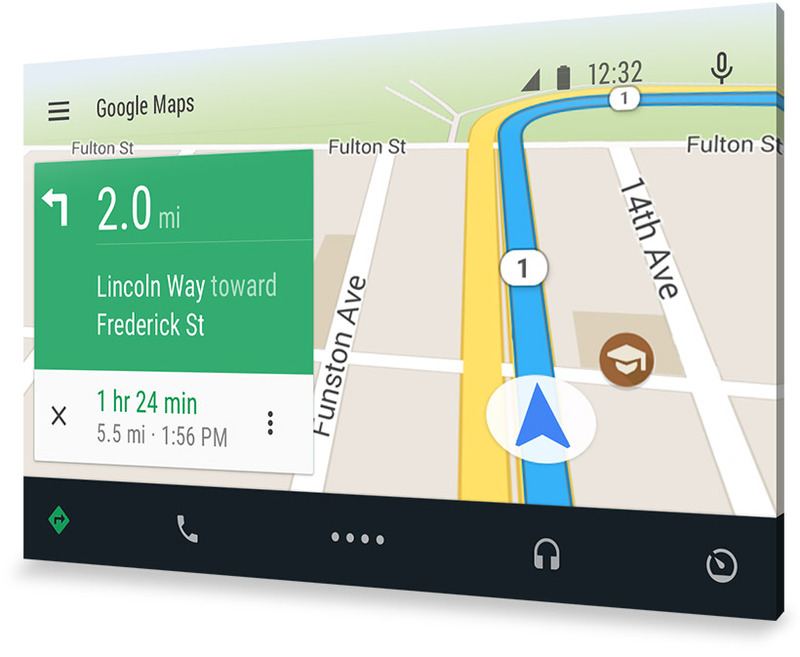 Android Auto is almost like Google Now for your car. Your phone will know when you get in your car and present a simplified UI that is much more usable and safe in a car. It will mirror itself to a compatible touchscreen in your car for easy use with touch and voice control. The interface should look pretty familiar to you, as it resembles the traditional card-based Google Now look, and gives you the right information at the right time. Once Google Now is familiar with your driving habits, like driving to work at 7am and leaving at 5pm, it will provide you with the quickest directions automatically. You can see that it is pretty easy to switch between main functions of Android Auto, like music, phone, maps, and others. For music listening, you can simply tell Google to play a certain artist right from your Play Music library. Music from Pandora, Spotify, and iHeart Radio are also compatible with voice commands if that is what you prefer, with more services to be compatible in the future. Text messaging will also be handled in Auto with simple voice commands to read the text aloud and to reply to them. Android Auto is to come with the Android L update this fall, and Google has stated that the first cars to support Android Auto built-in will arrive by the end of the year, which appears to be almost every major car manufacturer in the world if you take a look at the list on Android Auto’s official page right here. 40 to be exact. The Android Auto SDK will be available to developers “soon” to integrate their apps into an easier driving experience.